Tire & Wheel Balance, Free Rotation (if applicable), and Complete 4-Wheel Alignment. A $219.95 Value! *Offer must be printed or shown on phone. Some prices may vary. See dealer for details. *See dealer for details. Some vehicles may vary. Taxes not included. Clean Your Engine WITHOUT Needing To Take It Apart. Visit BMW of Toledo Today & Learn More About How To Prevent Carbon Build-Up In Your Direct Injection Car. *See dealer for details. Some cars may vary. TERM OF PROGRAM BENEFITS: This Program covers Eligible Tires for a term of 12 months from the date on the Original Invoice for the tires, or until any part of the tire tread that comes in contact with the road has a tread depth of 2/32" or less, whichever occurs first ("Program Benefit Term"). 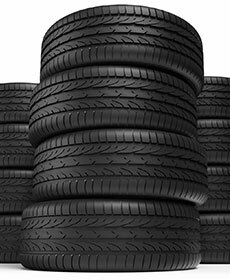 Eligible Replacement Tires will be covered under this Program for the remainder of the original Eligible Tire's Program Benefit Term. The Program Benefit Term will not be extended or determined by the installation date of the Eligible Replacement Tire. *See dealer for details. Only applicable for specific models. *See dealer for details. Only while supplies last.